Updated Sunday April 7, 2019 by SLL. One of our Sunrise coaches or players has lost the item(s) below. If you know anything about the missing item please contact either the Team Coach or registrar@sunrisebaseball.com. 3/29 - A player on Field 1 has lost his Brewers hat in or near the 3rd base dugout. It's a fitted cap size 7 3/4, Authentic Milwaukee Brewers On Field Game Cap. If found please notify the Major Brewers. 3/29 - A player on Field 1 has lost his glove. It's a right handed black with tan Marucci glove. If found please notify the Major Red Sox. 3/18 - A player on Field 3 has lost his glove. It's a black with blue Rawlings glove, with the name James Ambriz. 2/20 - A player on Majors Cubs has lost his bat. It's a black and pink Easton 650. 2/17 - A player in Majors has lost his glove. It’s a black Nike right handed glove believed to be left near Field 2. Have you or one of your players left something at the Sunrise fields? If so please email shmorak@sunriseball.com the information listed below. 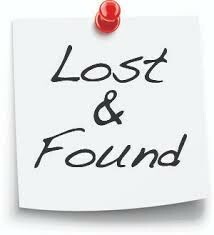 It will be posted here for the community to locate and return. We do have a lost and found bin near the snack shack. Please check there for any misplaced item first. Please check back here if you have found an item left behind at the field. Our SLL community thanks you!